I’ve been contemplating this for a while! 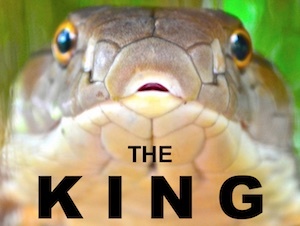 I am going to sell the ThailandSnakes.com website, the Facebook.com/ThailandSnakes forum, the 5,000+ email leads, and at least one of the ebooks for snake ID here in TH. I put a huge amount of effort into the site over the past 8 years, and though it isn’t perfect, it’s pretty damn good! I’m re-focusing my life and I need to get rid of all the side-projects and hobby sites I have online. I don’t really have time to put my energy into them any more, and I’m ready to hand this off to someone. I’ll bullet-point some of the major points below. Top Google ranking for tons of keywords. Search anything for Thailand snakes and it is ranked top 5, usually first. Sometimes we have the top 5 or so slots in Google because there is no competition for us. I have done SEO since 1998, and the site is built on white-hat techniques only. Traffic has grown steadily since day 1. I’ll add some screen grabs of important metrics from Google analytics below. Currently we’re getting around 900-1100 unique users per day. No ads on the site, except ads to our own products – ebooks mostly. There isn’t a heap of money to be made, but it’s easy to make $5,000+ per year with an annual SnakeStalk event, and field trips for individuals (1,500 to 6,900 THB per 2-6 hour herp). I haven’t focused much on field trip get-togethers, but I guess that’s where more money could be made. I do one group a year, but it’s possible to do 2-3 in Krabi, or even branch out to Pattaya, Chiang Mai, or a park just west of Bangkok. There are opportunities to meet some of the top names in reptile research, reptile keeping, and field herping. I’ve met some of the best people in the field because they found the site and wrote me email. I’ve herped with some amazing people and learned a lot. You can learn so much herping with people who are experts at things you’re not. I’ve met some good friends through the site. There are over 5,000 email leads you’ll have access to – to announce new products, new field trips, etc. The audience is worldwide, but most are expats living in Thailand. The Facebook forum at facebook.com/ThailandSnakes has around 6,000 members. You’ll be the admin – the forum goes with the sale. There is some opportunity for establishing yourself as a snake catcher in your area with ownership of this site. I’ve gone out on some calls here in Krabi and grateful people usually give 500-1000 THB for a snake rescue. If you were in Bangkok, Chiang Mai, Pattaya, Hua Hin, Phuket, or other populous place, you could do fairly well. Phil in Koh Samui makes his entire living from this. I’ve been contacted by BBC, National Geo, and other media outlets interested in doing shows on various reptiles in Thailand. I don’t prefer to work with these shows, but you might enjoy it. If you purchase the sites – I’ll give you the ebook – “Photos of common venomous and non-venomous snakes in Thailand” so you can collect email leads by giving it away for free. I can help you set it up with the email company I use (sendinblue.com). All the images used on the sites remain the property of their owners. All of my photos on the websites will be yours to use as you wish, but I retain the copyright and have the right to use the photos as I wish. The videos of snakes I have – will remain mine. You can link to them at YouTube, but you won’t have any ownership or publishing rights to them. If you’re interested in talking about purchasing the sites – send me email. You probably know what my email is by now. The price for websites which are established for 6 years with steadily growing traffic and income is typically 2-3 times the annual revenue. That would make it somewhere around $24,000 to 36,000 USD, based on 2017 numbers. I’ll be giving it away for $11,900 USD so I can quickly move on to my other projects (mobile app development). After the sale, I’ll work with you to replace everything with my name, as your name, or whatever name you choose. I can also help you get up to speed with how to manage everything. There’s nothing difficult. The value for you might come in many different ways. You may live in Bangkok, or Pattaya, or Chiang Mai and want to base it there. There is no real benefit to leaving the focus on Krabi, where I live. There are infinitely more people interested in snakes in Bangkok or CM than there are here in Krabi. You may want to use these sites as links to your own snake site somewhere else in the world. Google loves this site, so the links would be valuable to you whether you have a reptile site, bird site, or anything else related to animals in Thailand or Asia. Even somewhere completely outside of Asia. You may want to create a line of reptile t-shirts you could advertise on the sites. 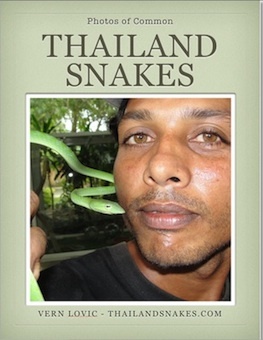 You may want to write books about Thailand snakes or other reptiles and use the site to sell them. You may have an interest in birding, lizards, bugs, pangolins, slow lorises, elephants, soi dogs, or something else. 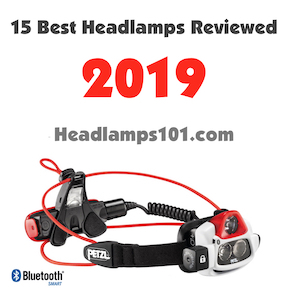 Links from this site, and articles about these other topics can help you pickup many viewers, and people interested in field trips. The price isn’t negotiable. If the sites don’t sell, I’ll just put them on the back-burner and move on to my other projects. 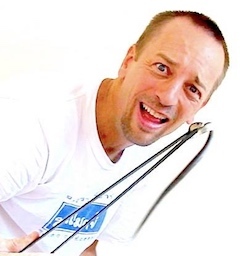 I hope someone is interested in continuing ThailandSnakes.com as it is, or turning it into something completely different. I am not attaching any conditions to the sale regarding what you do with it. Just don’t put me on a cross and burn me on the home page. Thanks.